February 6 - May 8, 2016. This exhibition looks to the past, present and future practices of an impressive group of 33 medal artists. With over 200 medals on display, the exhibition celebrates the 25 year journey of the Medal Artists of New Zealand (MANZ). The works represent contemporary medal art, which embraces freedom of design including choice of subject, material and composition. 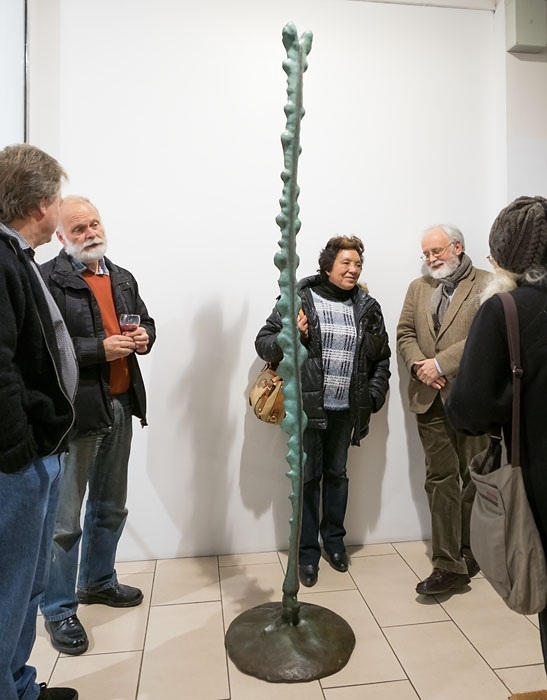 Regroup to include and acknowledge past and present members, by the display of a small number of works by each artist. Reflect individual and collective achievements, trials and tribulations on the national and international stage. The experiences gained and lessons learnt. Regenerate, celebrate and be inspired by the progress by members and that of their peers, pointing toward the future of New Zealand Medal Art. Silver Beech Icon by Jim Wheeler. TJ says: Sculpture, mostly bronze, of tall monumental shapes and wall works of carefully studied branches of leaves show admiration for the life force they represent. 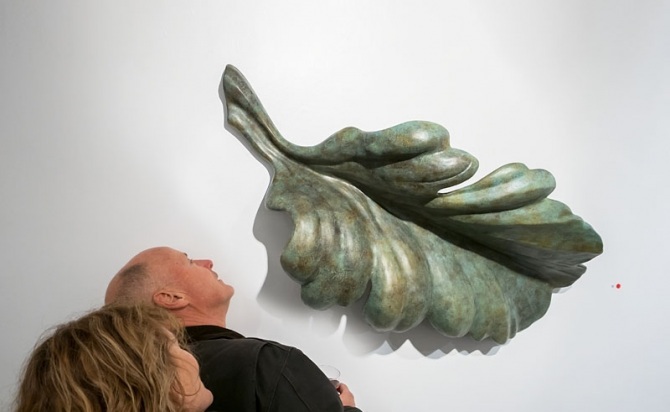 The sculpture exhibition by Jim Wheeler at Artis Gallery is explicitly titled Nature as Metaphor. The artist, renowned as a medallist, is here working mostly in bronze although cast-iron and stainless steel are also used. The works all have plant forms and the metaphorical element is the relationship between human activity and the natural world. This is exemplified in a work that stands at the door. It is a 2m high version of the peculiar leaf of the lancewood standing tall, almost like a human spine. It has a green patina except for the centre where the principal vein is polished bronze and falls the length of the piece like a flow of water. The title is Standing Idol. The natural form is to be honoured like a forest god. 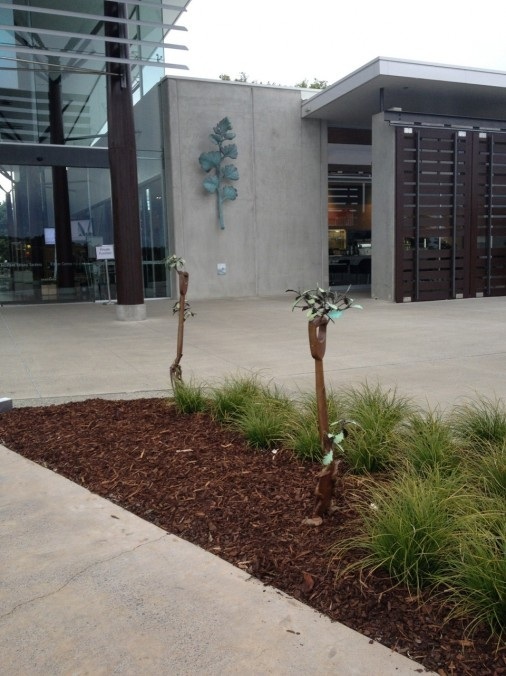 Most of the work inside the gallery is of branches of native trees based on the artist's response to our native bush. The range is wide. 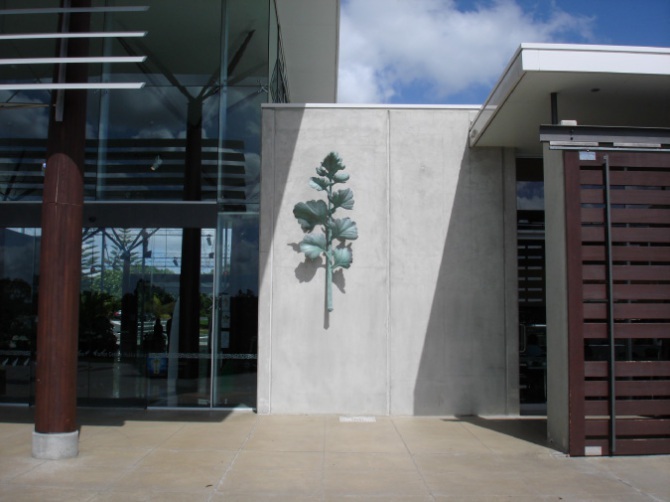 A cast-iron work, Kauri Branch - Drought, has a burned, rust colour with heavy monumental leaves and a seed cone that is a hope for re-birth. In contrast to the weight of this work is Autumn Wreath, a delicate bronze circlet of the seeds of the five-finger plant woven into an intriguing dance. Most of the sculptures are sprightly wall works. One is substantially over size. 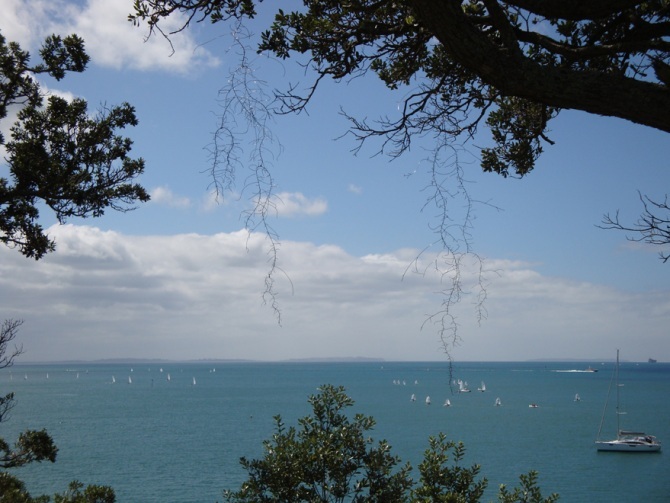 The huge branches of APEX - Pacific Kauri reach out like giant antlers. On the floor are versions of a concept the artist has made his own. 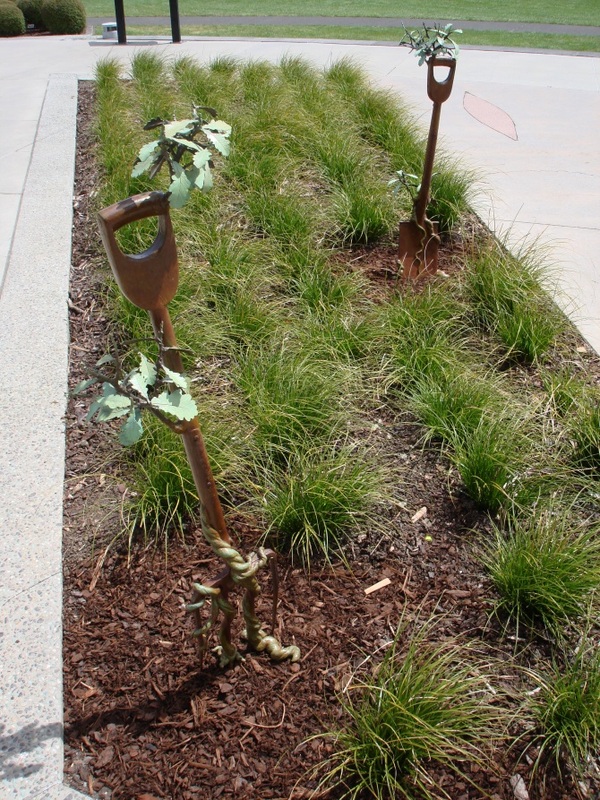 He uses old spades and garden forks or their handles and adorns them with plants in bronze. Plants and vines spring forth in a more homely and native version of the medieval legend of polished wood growing miraculous leaves, so the reference is redemption and renewal. It all makes for a very attractive show embodying invention, skill, observation and thought. 11 Aug.- 31 Aug. 2015. 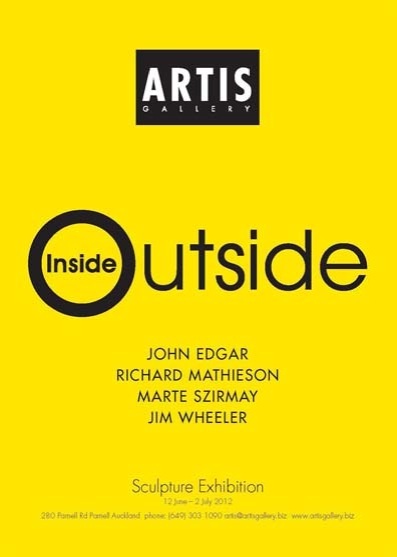 Solo exhibition by Jim Wheeler @ Artis Gallery, 280 Parnell Rd, Parnell, Auckland, New Zealand. Photos courtesy of artsdiary.co.nz © 2011-15 Sait Akkirman, including all photographs. 2:54 PM. 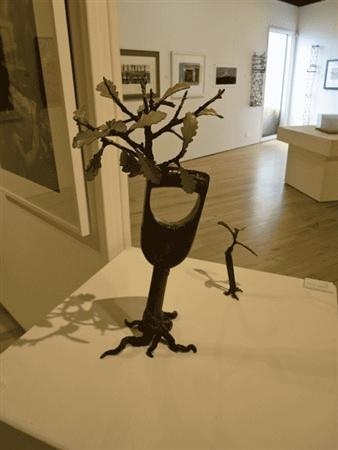 Jim Wheeler's sculptures represent his two big passions... bronze casting and botany. He's lived in New Zealand since emigrating from the United States back in 1981. Jim learnt his trade as an apprentice working with master craftsmen. He loves this country's flora, casting sculptures of our native flowers through to lichen. Jim's also made a name for himself as a maker of medals. 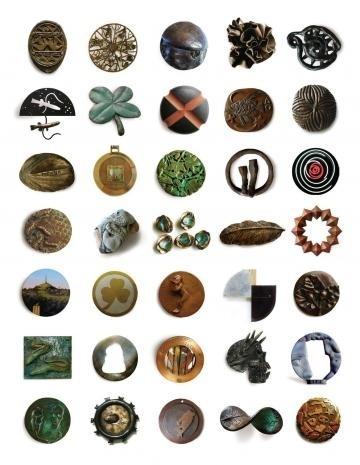 His exhibition Nature as Metaphor opens at Parnell's Artis Gallery on Tuesday and is represented at the New Zealand medal makers exhibition at the TSB Bank Wallace Arts Centre in Auckland. Eye Contact. 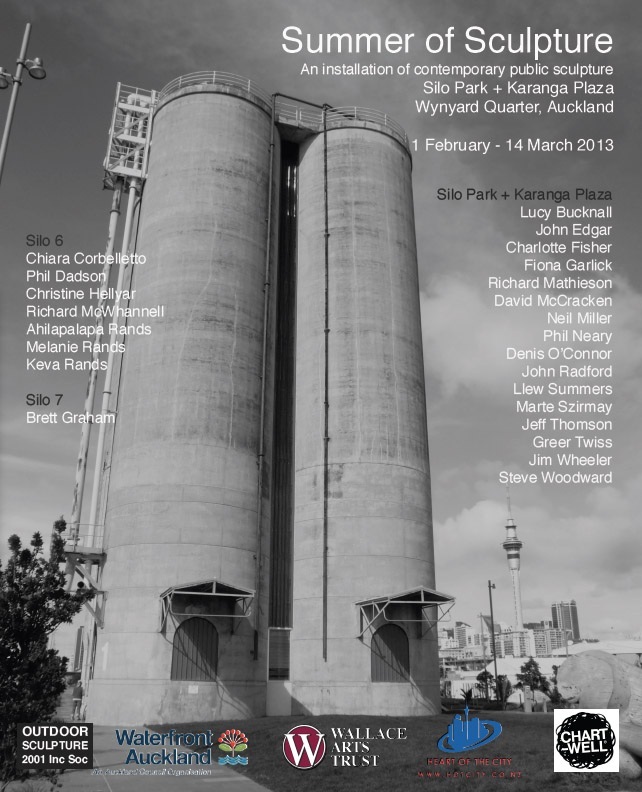 NZ Sculpture OnShore review. 8 – 20 November 2014. As part of the Devonport Arts Festival, 19 artists will each exhibit 3 works that encourage the audience to think ‘outside the square’. This opportunity brings together artists who are established conceptual thinkers and have diverse cultural involvement with their communities. 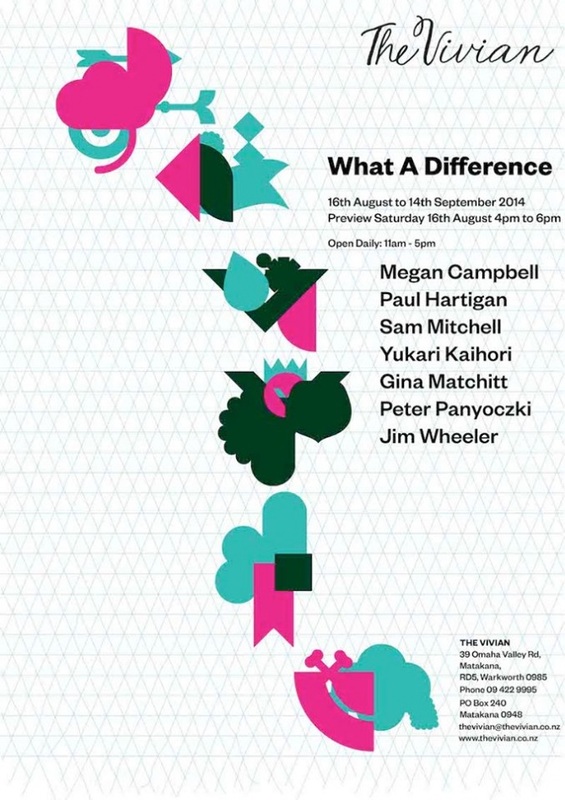 The mediums artists will explore are painting, photography, printmaking, sculpture and installation. 16th August - 14th September 2014. 1 - 16 March 2014. 16 Stancombe Rd, Flat Bush, Manukau. Tuesday - Sunday from 9am - 5pm. 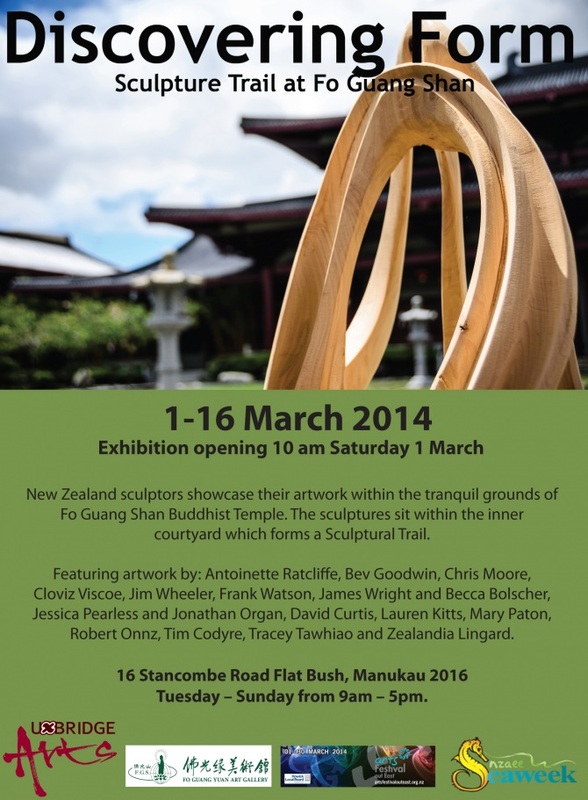 A number of New Zealand sculptors will showcase their artwork within the tranquil grounds of Fo Guang Shan Buddhist Temple. The surroundings of the temple and existing gardens provide the perfect environment for the sculptures and also add to the contemplative atmosphere of peace and serenity for visitors. 15 - 28 February 2014. 4 Feb 2014	- 24 Feb 2014. Gallery artists currently participating in the sculpture show, Sculpture in the Gardens, at the Auckland Botanic Gardens. 18 December - 26 January 2014. Exploring New Zealand's unique rural environment. 9 November 2013 - 16 Feburary 2014. This Summer at the Auckland Botanic Gardens, 102 Hill Rd., Manurewa, Twenty-three contemporary sculptures by top New Zealand artists in a unique garden setting. FREE ADMISSION Free entry, open 7 days from 9am to dusk . 12 February - 10 March 2013. 1 February - 14 March 2013. 10th - 14th July 2012. 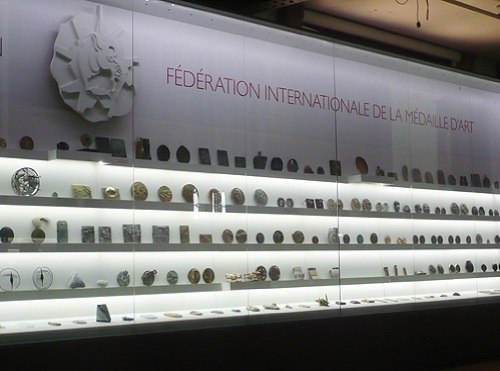 FIDEM XXXII Art Medal Congress and Exhibition. 12th June - 2nd July 2012. 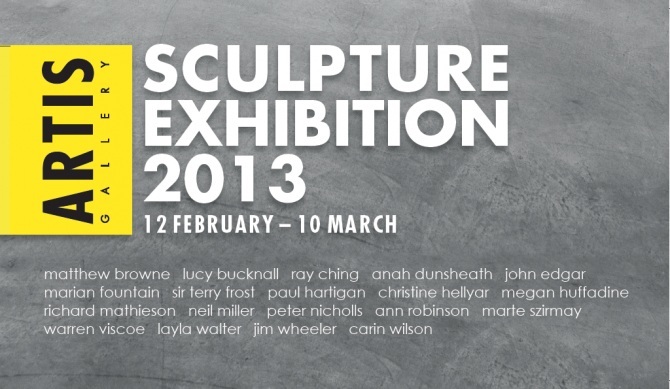 Group sculpture exhibition at Artis Gallery. 5th April - 7th May 2012. 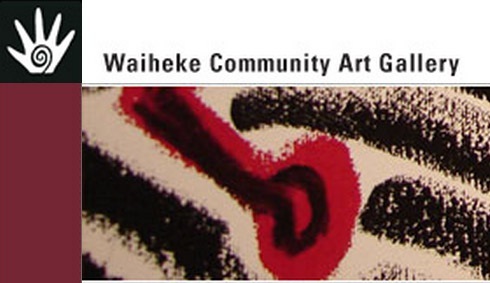 Small sculpture prize exhibition at Waiheke Art Gallery. 10th - 18th March 2012. Outdoor exhibition at Tawharanui Sanctuary. 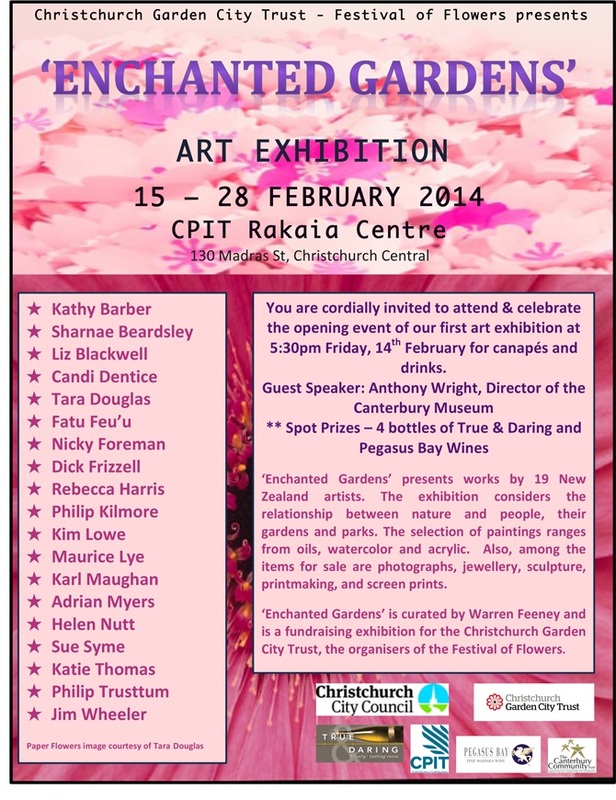 'Object of Devotion' was purchased for the permanent collection of the Auckland Botanic Gardens in Manurewa. Each year the Botanic Gardens host a four-month exhibition of large-scale outdoor sculpture set amid the gardens. 'Object of Devotion' is pictured in situ at the Huakaiwaka Visitor Centre in the Botanic Gardens.